2 Frogs In The West :: Movie Information :: RabbitTV GO! Marie Deschamps (Mirianne Brûlé) drops out of college and decides to move to Whistler in order to perfect her English. After a journey across Canada, her arrival in British-Columbia is less glorious than she dreamt. 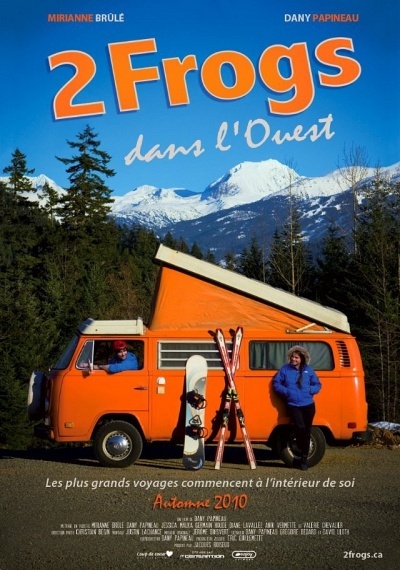 Fortunately, she meets Jean-Francois Laforest (Dany Papineau), a Quebecois skier who has been living on the West Coast for 10 years. J-F will introduce her to his Anglo friends and to the lifestyle of the mountains. Somewhere out West, this adventure will change her life forever.